Jeremiah Cangelosi (right) reviews video of himself pitching with athletic trainer, Michael Macatangay. 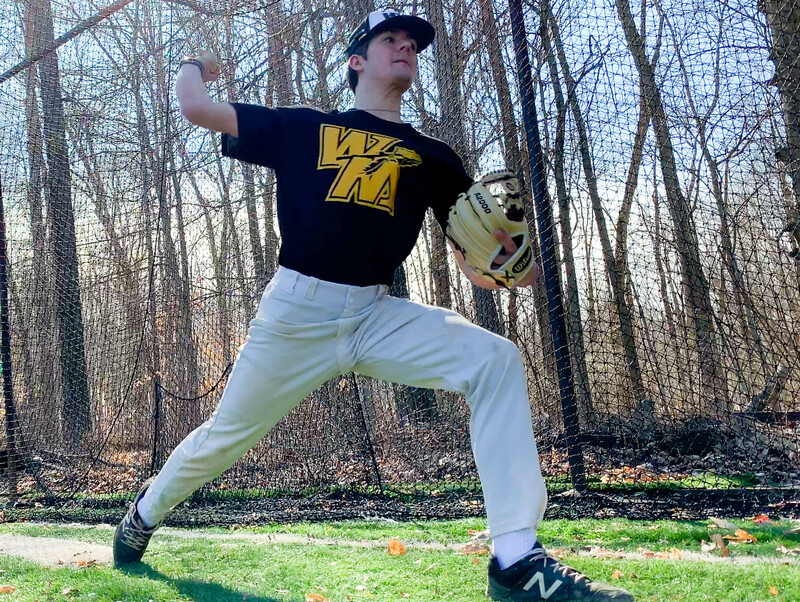 Being able to freeze the video and analyze the angles of his arm and body has helped Jeremiah make corrections to his throwing style to improve accuracy and prevent injuries. (COLUMBUS, Ohio) – Arm and shoulder injuries in youth baseball players continue to rise despite efforts to prevent overuse. In fact, about 75 percent of youth baseball players report having arm pain. However, a unique new approach to training may help prevent these injuries and help keep kids on the field and out of the doctor’s office. Macatangay says the program not only prevents injuries, but can also improve players’ skills. 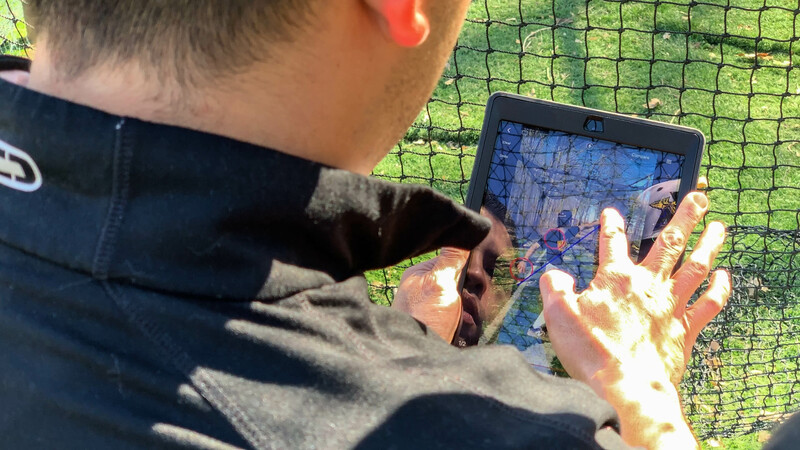 Players who participate are monitored throughout the season to see how the changes to their throwing style are keeping them healthy and to ensure they’re getting plenty of rest and recovery between games and practices. 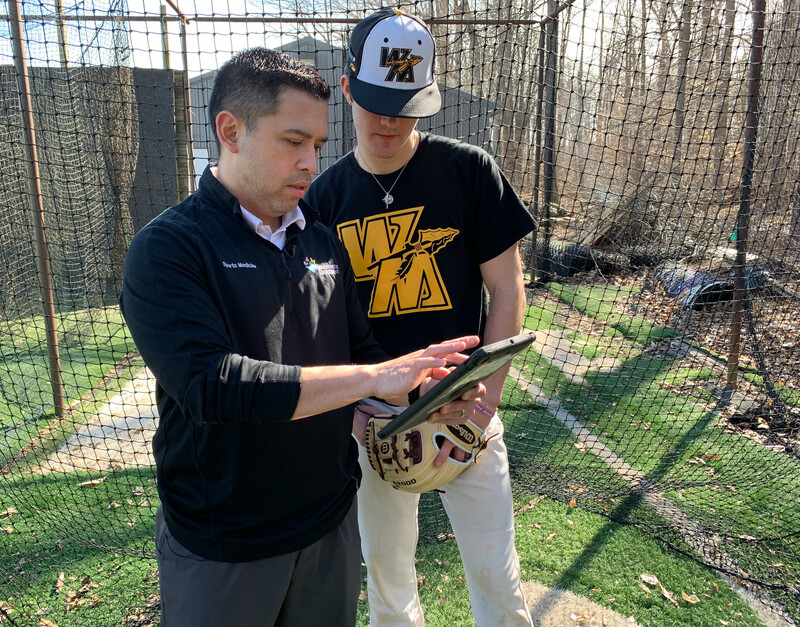 Athletic trainers are hoping schools and baseball leagues nationwide will use the program as a model to help kids avoid painful injuries and continue to enjoy the game. 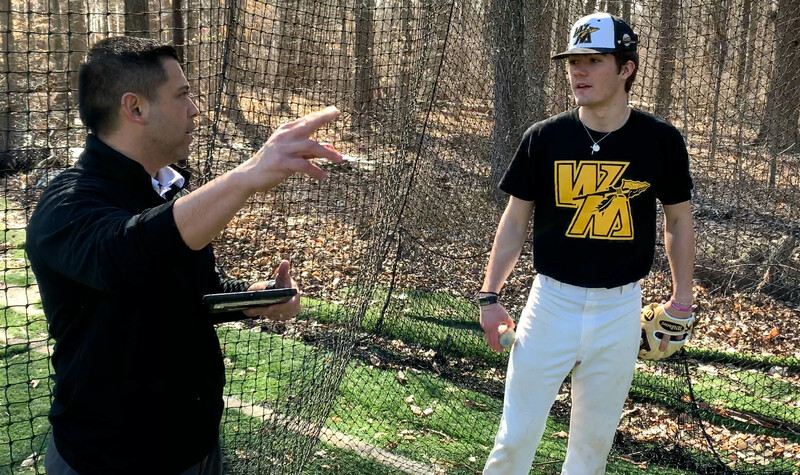 Athletic trainer Michael Macatangay (left) works with high school pitcher, Jeremiah Cangelosi, on his throwing mechanics. Macatangay is part of a team at Nationwide Children’s Hospital that developed a unique training program that combines sports medicine with high tech video analysis to prevent injuries. Michael Macatangay uses video to analyze the specific body position and angles of a high school pitcher. He helped develop a new injury prevention program at Nationwide Children’s Hospital that corrects throwing mechanics and helps players avoid arm and shoulder strain. 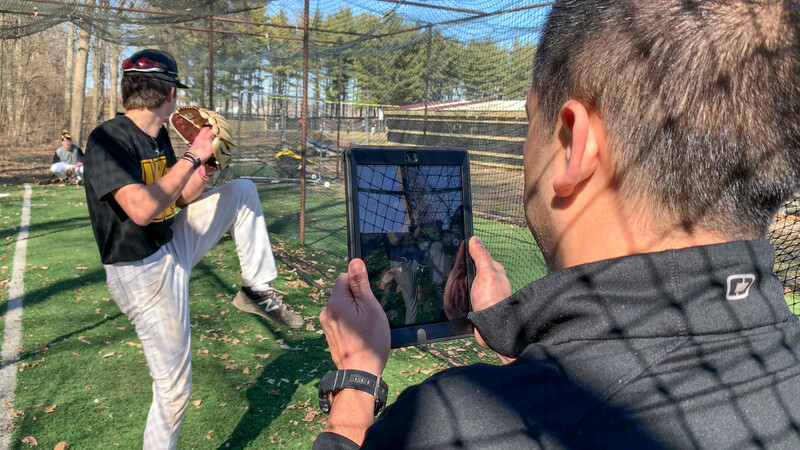 Athletic trainer, Michael Macatangay, takes a video of Jeremiah Cangelosi pitching. The video will help pinpoint and correct any issues with Jeremiah’s throwing form that may put extra strain on his arm and lead to injury. Jeremiah Cangelosi throws a pitch during practice at his high school. He has made improvements to his throwing style and mechanics with the help of a unique injury prevention program developed by Nationwide Children’s Hospital.